For nearly 20 years, this prominent headland south of San Francisco was repeatedly threatened by development. From development proposal to development proposal, community members fought to protect this regional landmark, with its sweeping views above pounding surf and its links to nearby beaches and the Golden Gate National Recreation Area (GGNRA), one of the nation's oldest metropolitan national parks. 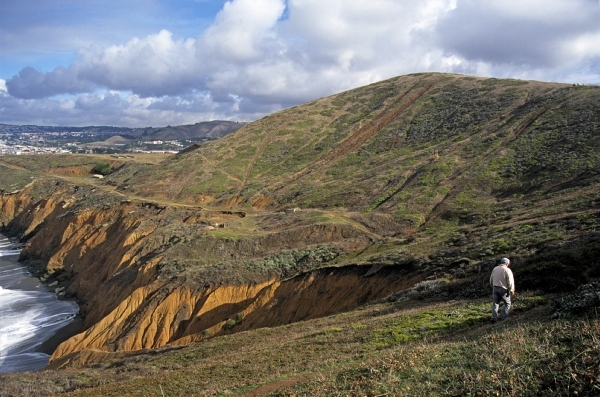 In September 2000, with Mori Point on the auction block, The Trust for Public Land assembled funds from private donors, the Pacifica Land Trust, and its own capital to outbid the developers and take the land off the market forever. The National Park Service later used funds from the California Coastal Conservancy and federal Land and Water Conservation Fund to add the property to the GGNRA.